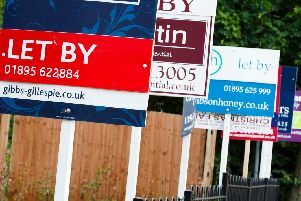 An interesting discussion on the Dearth of Houses in Rugby took place at the Urban District Council on Tuesday as a result of which it was reluctantly decided that no further steps towards remedying the shortage should be taken at present. The Local Government Board is still unable to sanction any loan for the erection of new dwellings except where additional housing accommodation was urgently necessary in connection with War requirements. Temporary car parking is likely to be provided in Railway Terrace in the near future following the demolition of several premises that have been condemned. More than a dozen houses and one shop will come down. They were bought by the borough council on the recommendation of the Public Health committee. A few families have yet to be rehoused. The houses are about in line with the new road from Park Road suggested in the town plan, although this may be revised and altered. Rugby now has a new Recital Concert Room in a modern, specially designed building. Built at Rugby High School at the generous promotion of Angela Youngman, it is a lasting memorial to her late husband Sandy Youngman. A reminder of his service to music, much of his work was done in schools, not only at Rugby School where he was director of music for many years, but in all places where it was taught to children and adults alike, in Rugby and indeed around the world.